Layout, graphics and architectural consulting for the permanent intervention project. 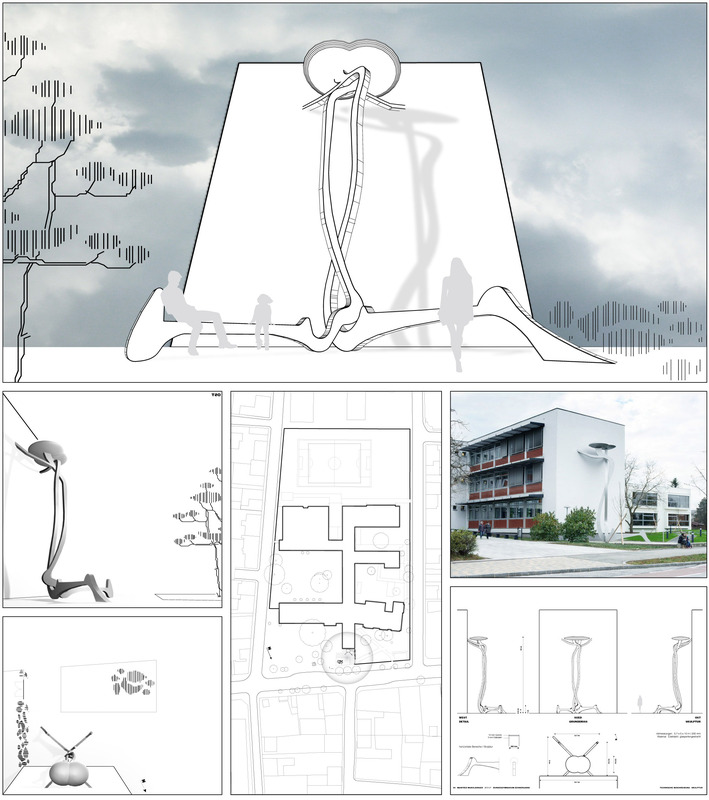 Manfred Wakolbinger, a sculptor was invited to take part in a competition for an intervention on a school campus. The project was realised by the artist in 2014.